If you’re starting to appreciate Korean cooking, then one ingredient you would likely need to have in your kitchen is gochujang. This chili paste has a miso-like flavor. It is made with glutinous rice, red chili, salt, and fermented soy beans. Gochujang is widely used in Korean dishes such as bibimbap and bulgogi. It is also used in different stews. Most Koreans also use it as a dip for fresh vegetables. Although you can order gochujang online like this, there are times when you may not be able to order one in time for a recipe that you are to do. So what should you use instead of Gochujang? 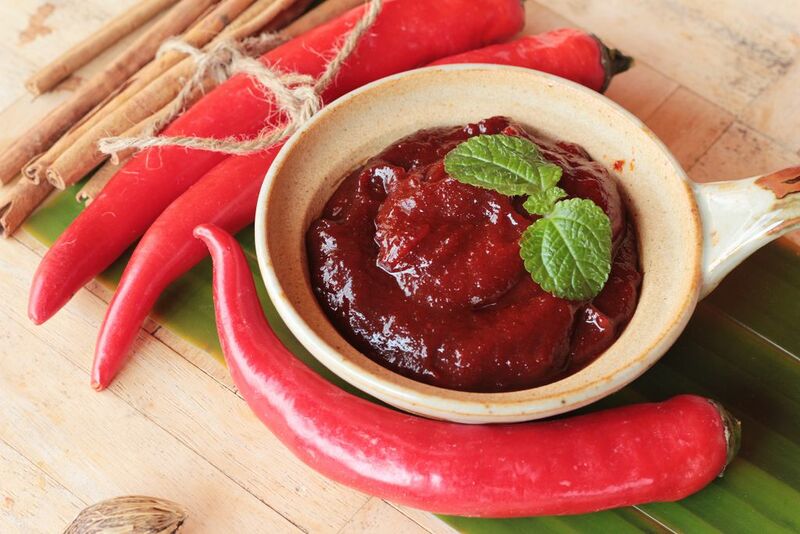 Read on and discover the best substitutes for gochujang. 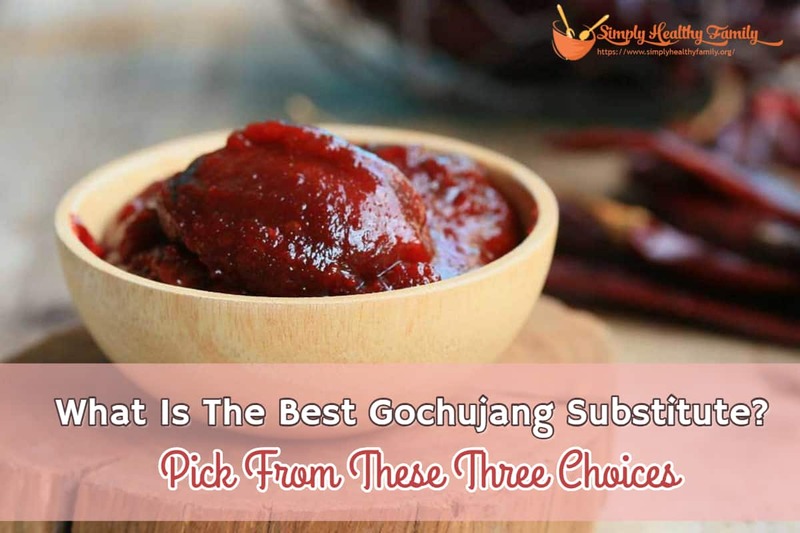 What is the best gochujang substitute? Gochujang is a spicy, fermented condiment. It is made from red chili powder, glutinous rice, salt, and fermented soybeans. Unlike other condiments, gochujang has a combination of flavors. It is sweet but spicy. It also has a very savory profile. This combination of flavors in one ingredient makes gochujang unique. In fact, I will be blunt in saying that there is no single gochujang replacement that can match the complexity of flavor of this Korean condiment. This isn’t exactly the best substitute for gochujang, but it can replace the sweet and spicy flavor of the Korean condiment. It’s also quite easy to do. 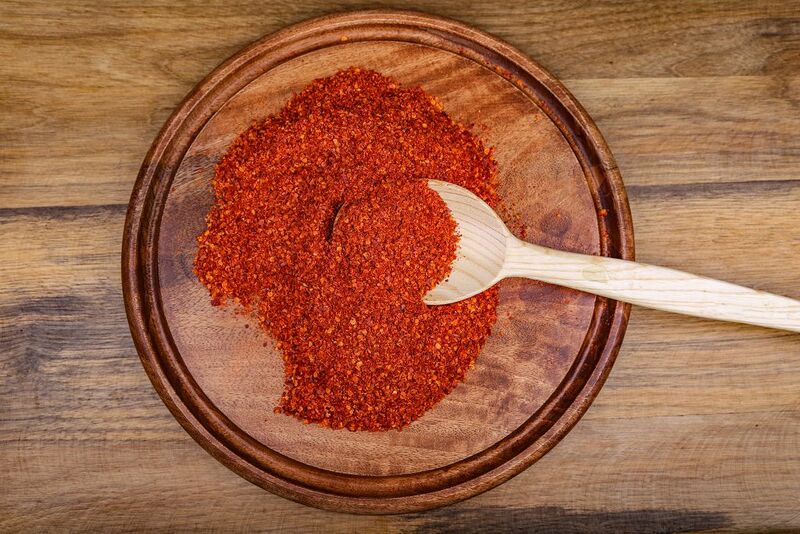 Simply combine a tablespoon of red pepper flakes with soy sauce to moisten the flakes and add a tangy flavor. Then add a tablespoon of sugar so that the paste will be slightly sweet. This is another good alternative to gochujang. This hot sauce which has Southeast Asian roots is considered by many as the world’s coolest hot sauce. If you need an ingredient that will replace the spice and sweetness of gochujang in a recipe, Sriracha is a very viable option. Keep in mind, though, that the sweetness of gochujang is different from that of Sriracha which contains hints of garlic. Sriracha is also considerably thinner than gochujang. This is a hot chili pepper paste that comes from North Africa. It is very spicy and can give the same hot flavor as gochujang. But it also has a slightly smoky taste that makes it different from gochujang. And unlike gochujang, Harissa is easier to find. You will likely get your hands on one at all major stores. 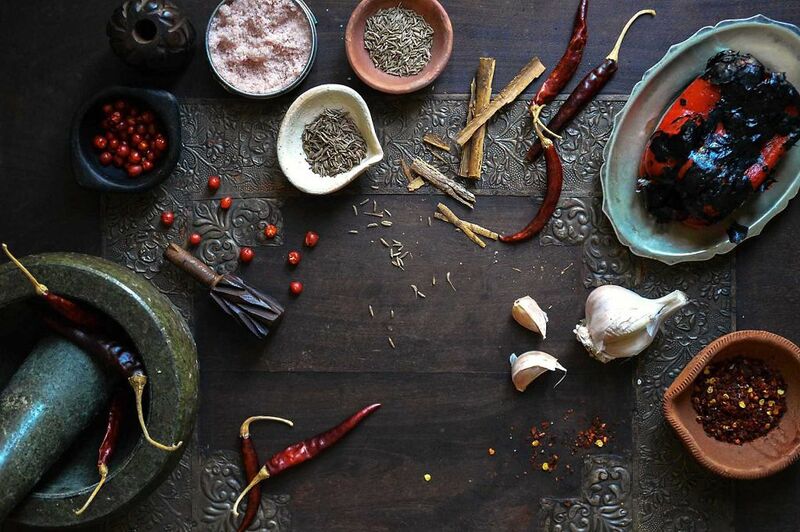 You can also make your Harissa paste at home. 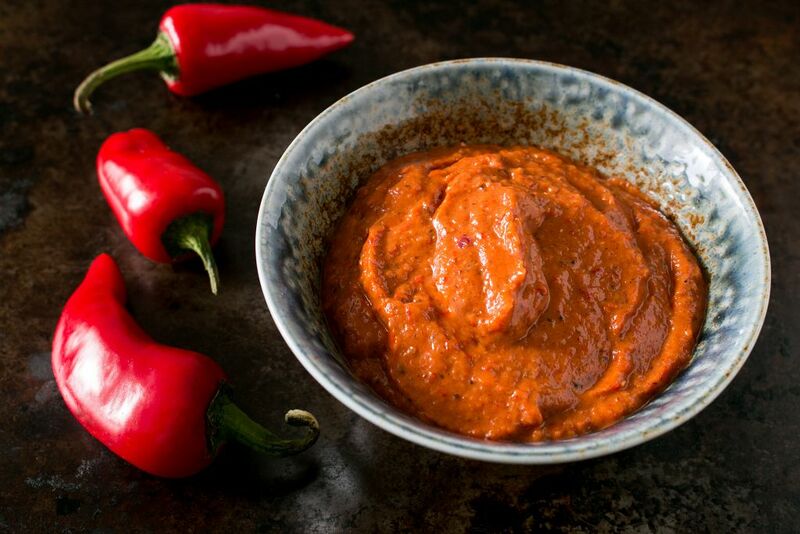 This homemade Harissa paste can make one cup. 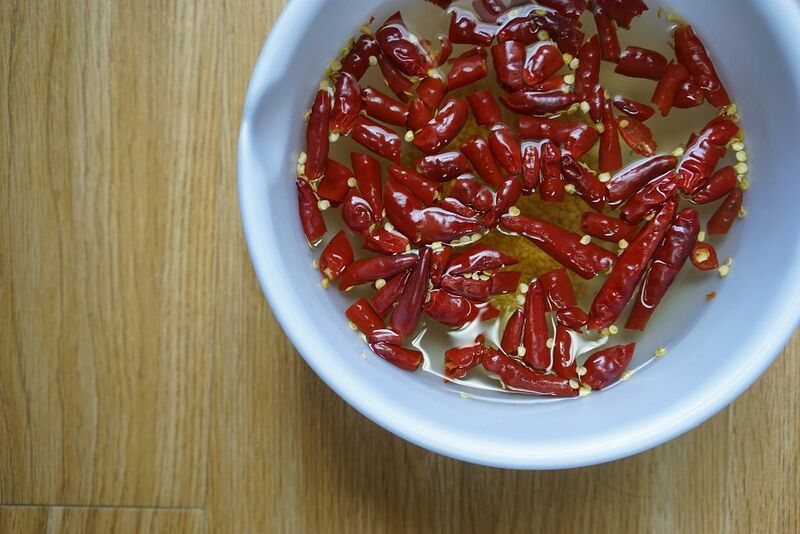 Start by placing the chilies in a heatproof bowl. Pour boiling water and let the chiles stand for 30 minutes. Toast the caraway, cumin and coriander seeds in a dry skillet placed over medium heat. Occasionally stir the skillet to avoid burning. Remove the spices from the pan once they become fragrant. Grind the spices using a coffee grinder or good ole mortar and pestle. Drain the chilies. Then stem and seed them before combining with spices, salt, and garlic in a bowl of a food processor. 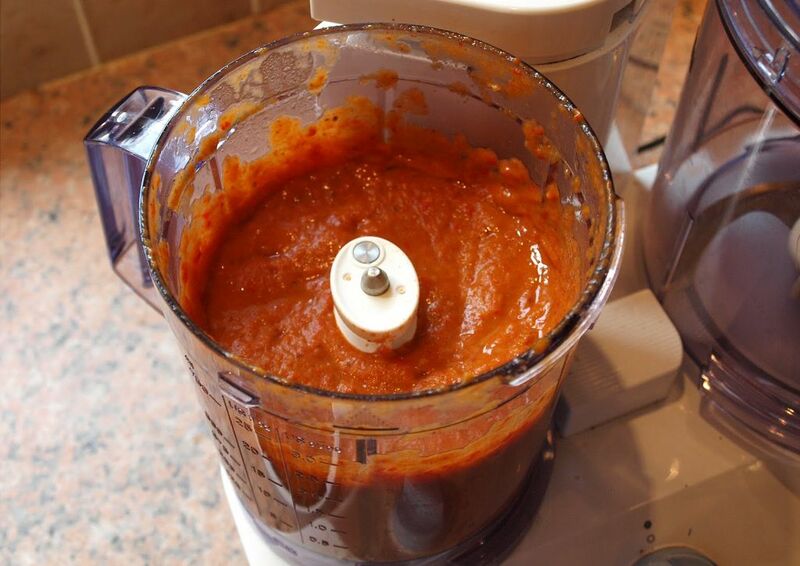 While the food processor is running, drizzle olive oil to make a smooth and thick paste. Occasionally scrape down the sides of the bowl. Taste and adjust the seasoning. 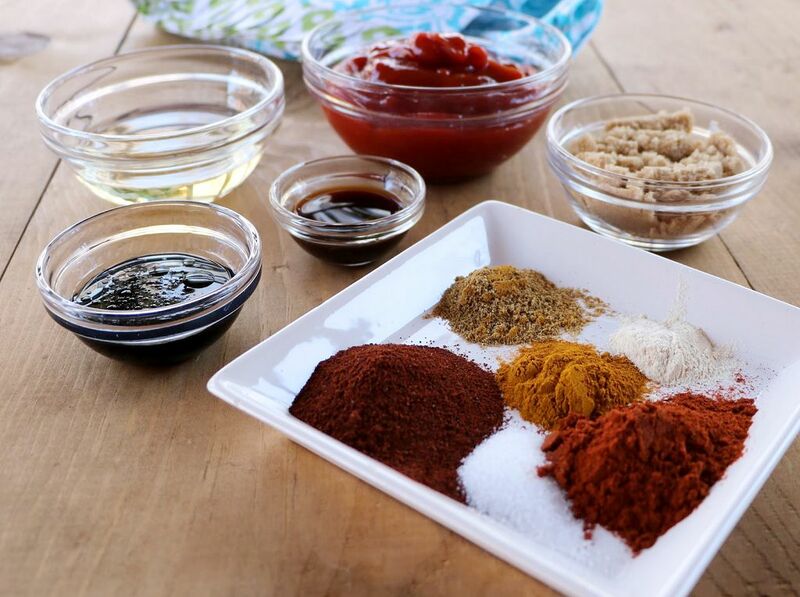 Add more salt or other optional ingredients such as tomato paste, cayenne, and paprika. Transfer the paste to a jar then cover it with a thin coating of olive oil. Cover the jar and then put in the refrigerator. You can use this up to a month; just make sure to add a fresh coating of olive oil every time you use the harissa. If you aren’t satisfied with any of the substitutes I mentioned above, why not make gochujang by your own? Place a saucepan over medium heat. 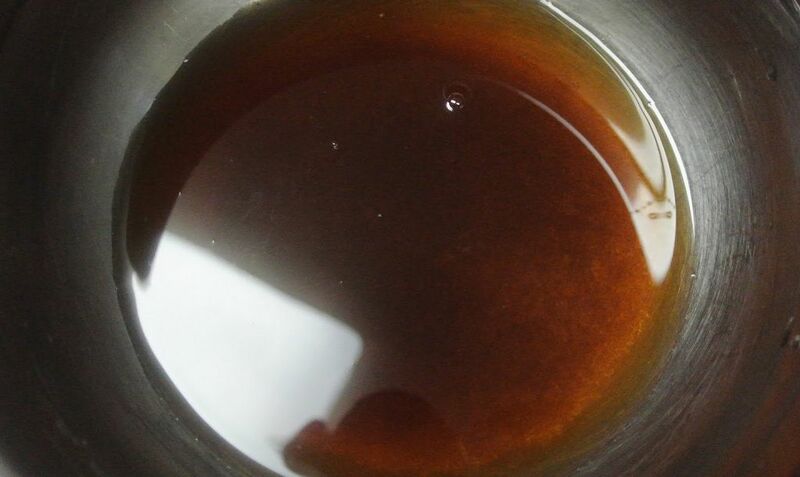 Add and stir the water and brown sugar until the latter is dissolved. Add the miso. Continue stirring until you get a thick and smooth mix. Add the chili powder. Continue stirring until the sauce has become thick. Turn off the heat and let the mixture slowly cool down to 100 degrees Fahrenheit. Add salt, sake and rice vinegar. Stir to combine. Remove from the heat and let it cool down to room temperature. Store in sealable containers. That’s it. You now have your own homemade gochujang that you can use for months. Gochujang is a unique Korean condiment that has a very complex flavor. That trait makes it hard to find one ingredient that can replicate its flavor. 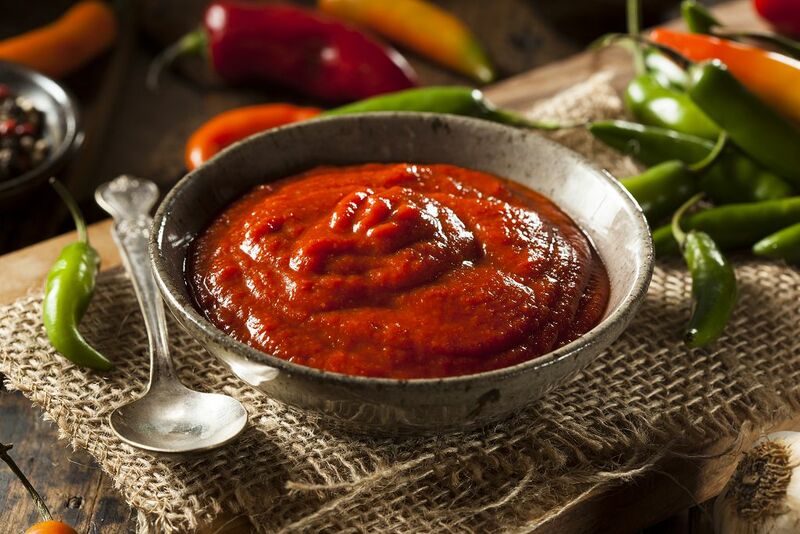 While Harissa, Sriracha, and red pepper flake paste can’t exactly duplicate the taste of gochujang, any one of those ingredients should be good enough to be used instead of the Korean condiment.